Want to increase students’ retention of content? Want to help students leave school prepared for deeper learning, higher-level thinking? Then Project-Based Learning (PBL) aligns wells to your goals. Extensive research over time supports PBL as THE best response to tough questions. In this blog entry, we’ll revisit some of the research. Then we will explore a new tool that facilitates gamifying PBL. No matter where you look, whether in K-12 or higher education, PBL stands tall. Want to become a doctor? Problem-Based Learning (also abbreviated as PBL), a close sibling to project-based learning, is a pedagogical practice. Structured PBL units empower students to “create conceptual models” to solve a problem. From K-12 to medical school, PBL is the go-to multi-disciplinary system. It encourages self-directed learning, targets higher-order learning, and engages students (source: Journal of Biological Chemistry). PBL has found its way into many classrooms. 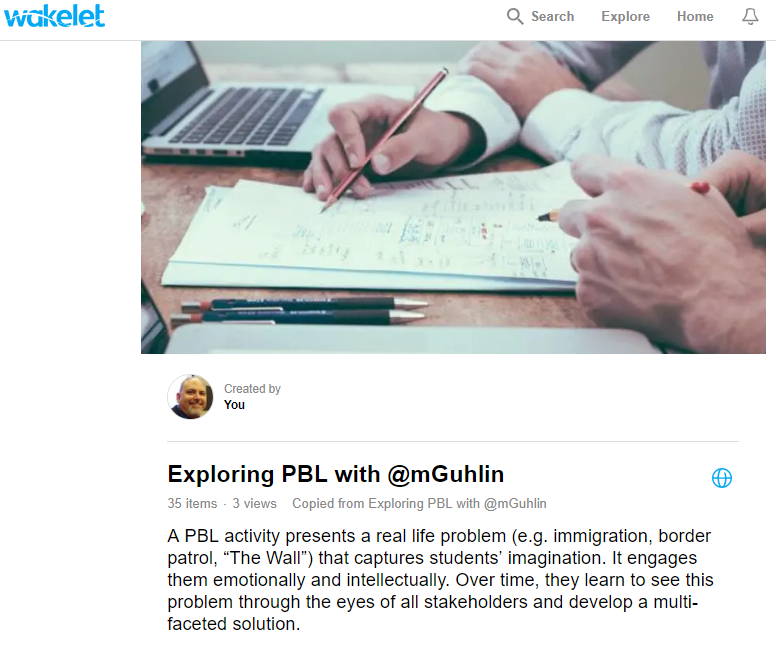 You can see my own journey with PBL in this wakelet on Exploring PBL. Connecting learners to other learners via a learning network. Each of these points aligns to the ISTE Standards for Students as well. 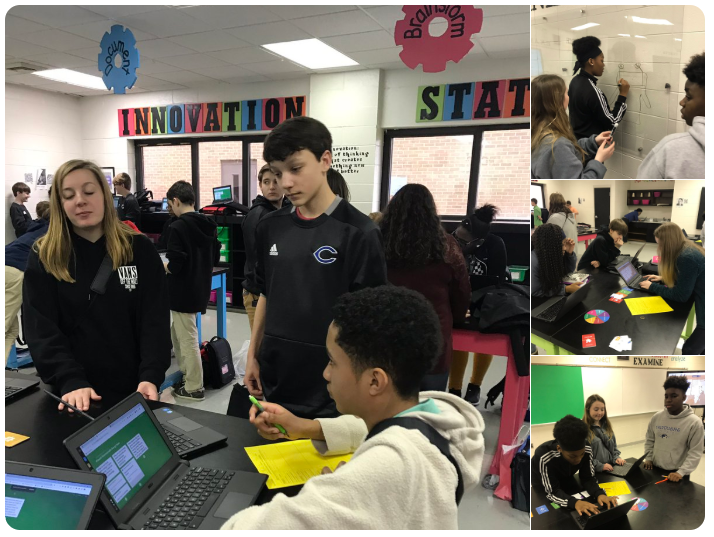 Students use a variety of technologies within a design process to identify and solve problems by creating new, useful, or imaginative solutions. Blending technology into PBL makes problem solving, learning, and solution making a digital reality. Aligning it to the ISTE Standards for Students makes it a fantastic opportunity. Yet in the fast-paced video game environment our children learn in, how can we make PBL even more? Many of our children play games that engage them with problems. The Pew Research Center has made some relevant findings that gamifying learning stimulates interest and deep engagement with content. John Seelye Brown, as cited here, describes the power of accidental learning. Accidental learning is learning on the go, solving problems as they appear. Accidental learning relies on failure. “The chance of failure is high, but the cost is low and the lessons learned are immediate,” says Brown. Prep: Pick a Problem to Smash! Setup: Each group of three or four receives a set of cards and a device and selects a note-taker. Play: Follow the steps for each card in order. Use the SOS card ONCE to ask for help from the facilitator. Watch this short video for an overview. Let’s assess this new website. We’ll use the key elements to successful PBL to guide our exploration. 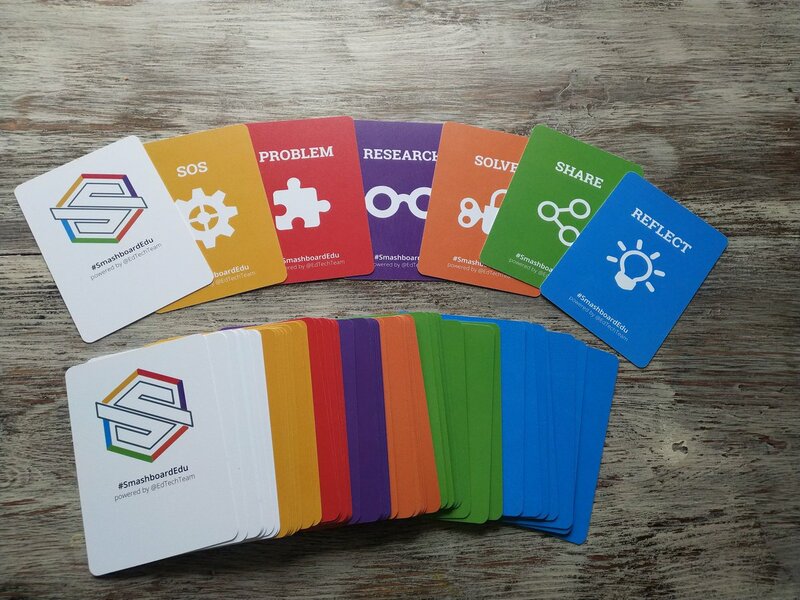 One of our favorite problem-solving structures is #SmashboardEdu. It is a gamified process for solving problems. Over the course of two class periods, students identify the problem, research, solve, share, and reflect. Shout out to Ed Tech Team leader, @DeeLanier, for his fabulous bank of resources here. We used this slide deck to guide our sessions. Does Smashboard Edu enable you to use digital tools to empower collaboration and communication? The answer is a resounding YES. Consider this Flipgrid where students share their reflection of the problem-solving process. Meta-problem-solving can be a real aid to students working together. Empowering students depends on how they use Smashboard Edu. Learners may use it as a springboard to produce creative artifacts, as shown in the image below. Smashboard Edu makes it possible to have students learn in an interconnected, digital world. This is less about Smashboard Edu and more about the tools (e.g. Flipgrid) that students choose to use. Encouraging students to work well together, in the classroom and across classrooms, is important.